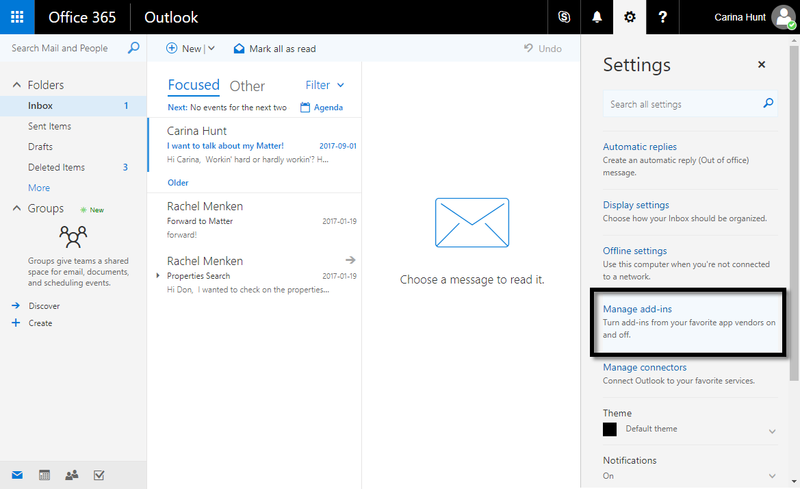 For more information about the Outlook add-in, see here. Add-in needs to be selected in the Outlook settings. Click on the settings gear, then click "Manage add-ins." 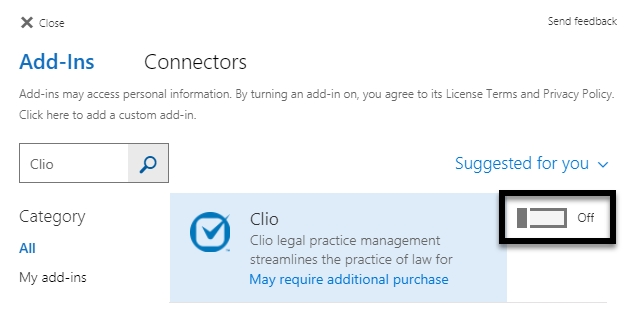 In the Add-ins sidebar, search "Clio" then click the "Off" toggle to enable the add-in.